Rooms are equipped with Internet access. At disposal: kitchenette, fireplace room, TV set. On the premises parking. Additionally on the premises: garden, place for grill. 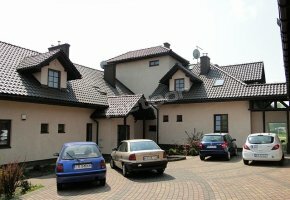 At disposal: shared bathroom, generally accessible toilet, fully equipped kitchen, Internet access. On the premises closed parking. The town centre 0,5 km. 25 km to Kraków. 15 km to Wieliczka. We invite you to take advantage of our offer - satisfaction guaranteed. We invite to cooperate firms. On the premises bike rental. Additionally on the premises place for grill. For the active guest we offer: darts, table tennis. For the active guest aquapark. Tourist attractions: museum, nature reserve, salt mine. 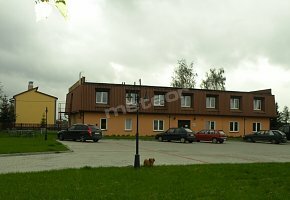 Apartment consists of: living-room, bedroom, kitchenette, bathroom, balcony. Rooms are equipped with: Internet access, TV, cordless kettle. At guests' disposal: Internet access, shared bathroom, fully equipped kitchenette. On the premises parking lot. In our offer: some rooms with bathrooms. Rooms are equipped with: TV set. We accept pets. The complex is: adapted for the disabled. At disposal Internet access. On the premises parking. We speak: English, German. Conference room for 30 persons. We perfectly organize: conferences, integration events. 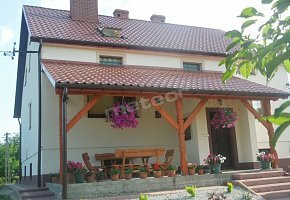 House consists of: dining room, fully equipped kitchenette, living-room with fireplace, 4 bedrooms, bathrooms. On the premises: parking lot. At guests' disposal: wireless Internet (Wi-Fi). Nice and friendly atmosphere, comfortable rooms guarantee perfect relaxation!